There are many different ways for an employee to clock their worked hours. This guide takes you through each option and illustrates the benefits. The most basic method is to allow employees to clock on from any computer or smartphone they like. Set to any internet device in employee profile. 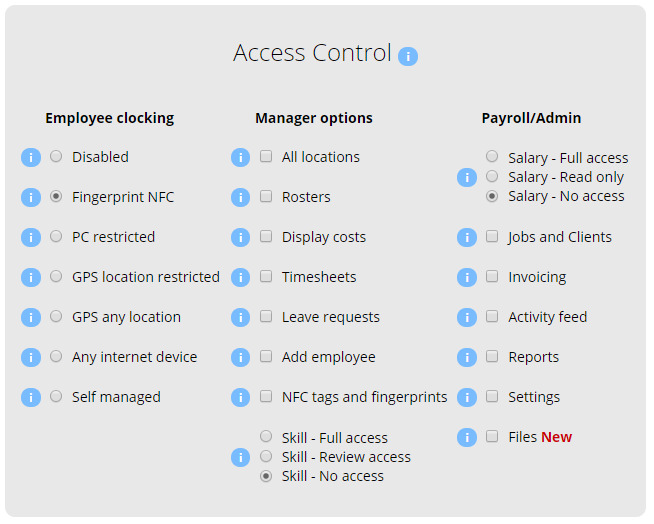 This option allows you to restrict which Network you want to allow your employees to clock on/off from. Click the Add IP Address button to activate the network you are on. 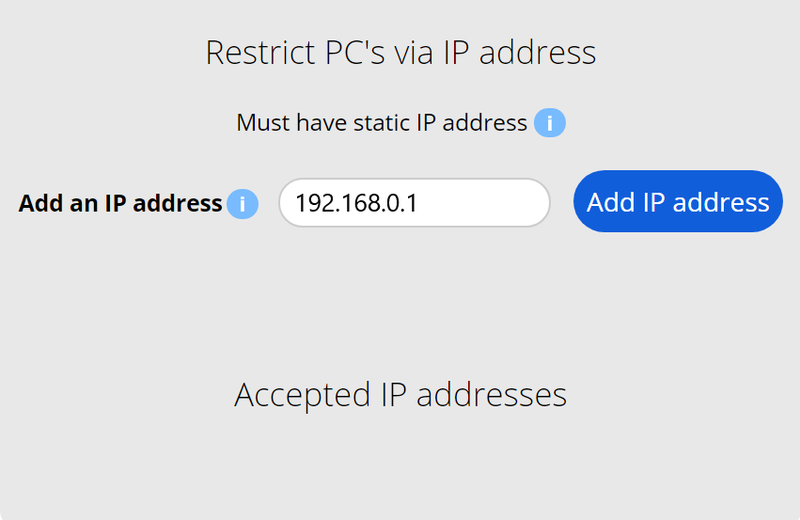 The IP address of the network you are currently on is pre-entered. 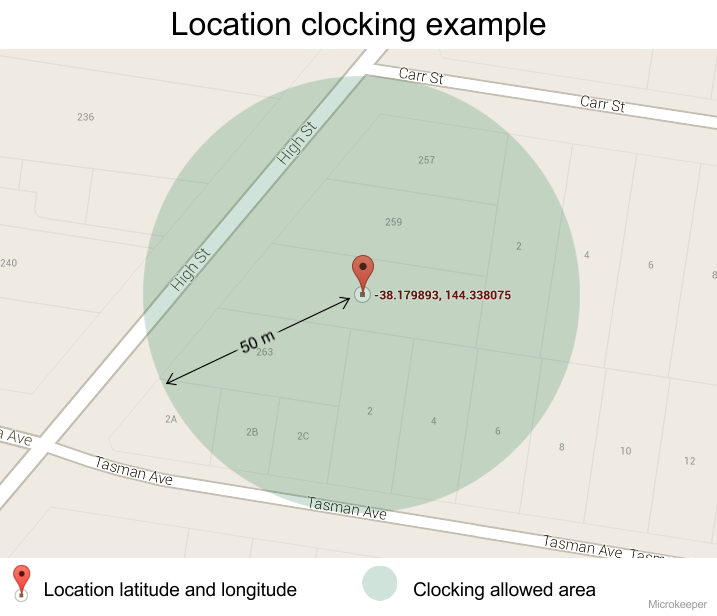 This option will mark a GPS location when an employee clocks on/off, which gives your employees the flexibility to clock on/off from wherever they like. 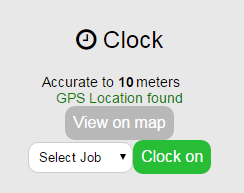 You can set locations of work, an employee will only be allowed to clock on within the radius that you set in your Global settings (Default is 50m and can be adjusted). Employee's can call in on a landline to clock on/off with identity verification. Smart phone access not required. Clocking of hours from anywhere with landline connection. Large percentage of workforce with no Smart Phone access. An employee will call a special line provided by Microkeeper from either an employer-designated phone line (recommended), or any number. They will then be prompted to give their Employee ID from the Employee Profile, and the Day and Month of birth to verify their Identity. The employer designated phone line can also be able to be associated with a Job for Job tracking purposes. 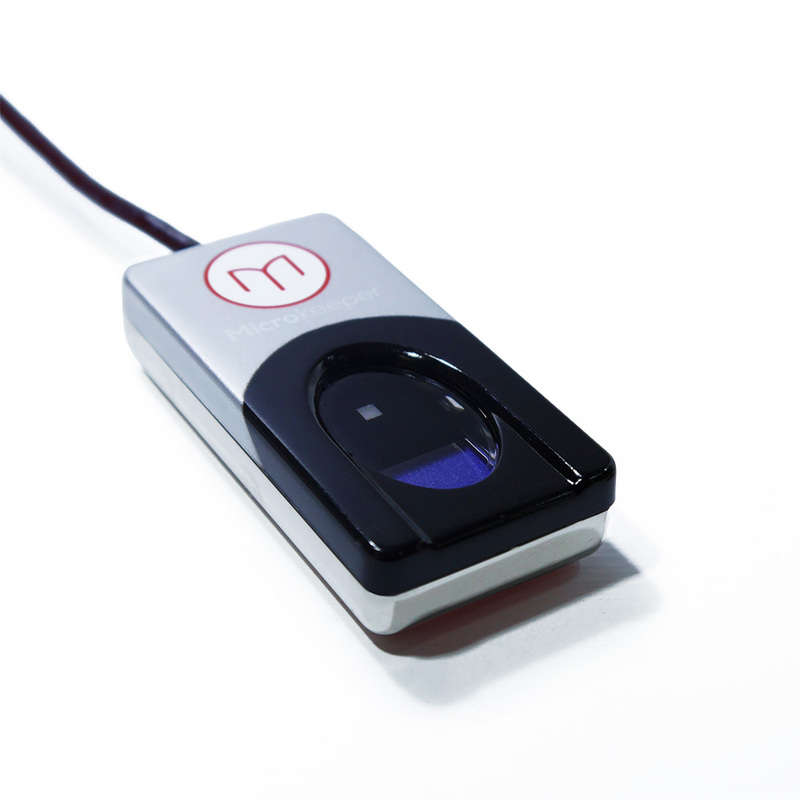 Fingerprint scanners are the fastest and most secure way for your employees to clock on/off. 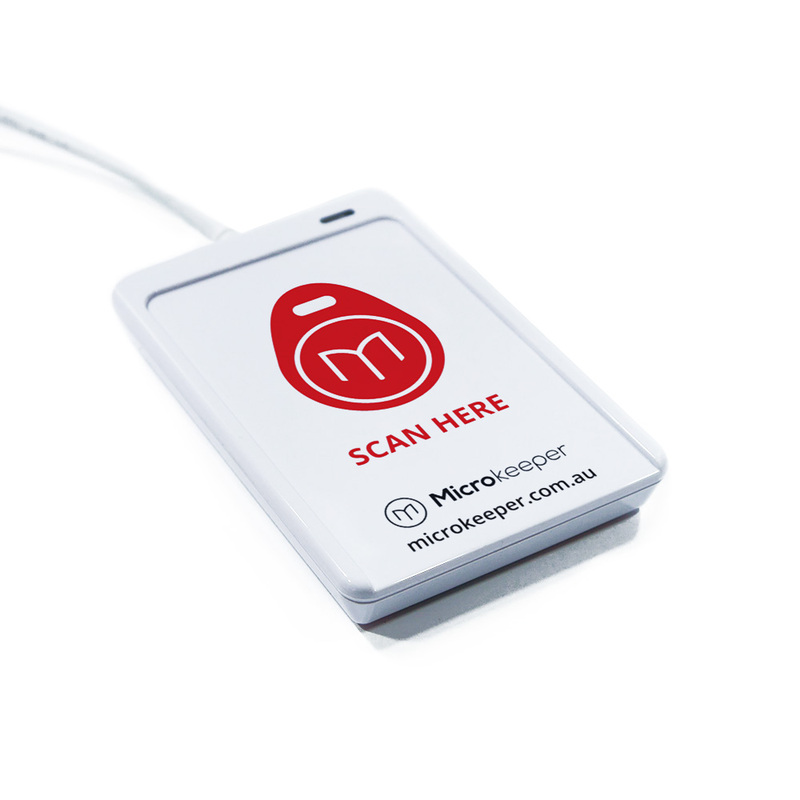 The fingerprint scan solution is our own in-house software that communicates with Microkeeper's cloud based servers. NFC Scanners are a very fast solution for your employees to clock time and attendance data. 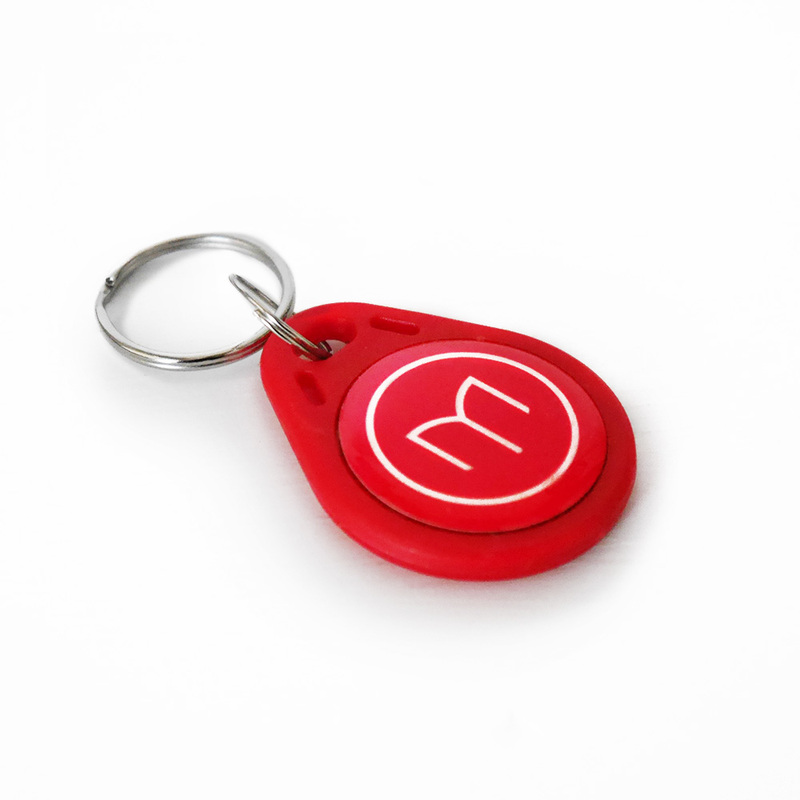 When clocking hours, employees are each issued a keyring that contains an NFC tag. 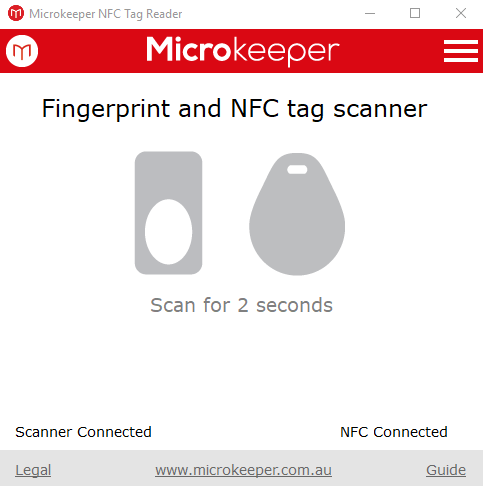 Upon holding the tag close to the NFC reader, the employee is instantly recognized and authenticated. Each employee can clock on/off with a different method of your choice. These options can be selected in the employee security settings. The Access Control lets you select which clock on/off method will be used. 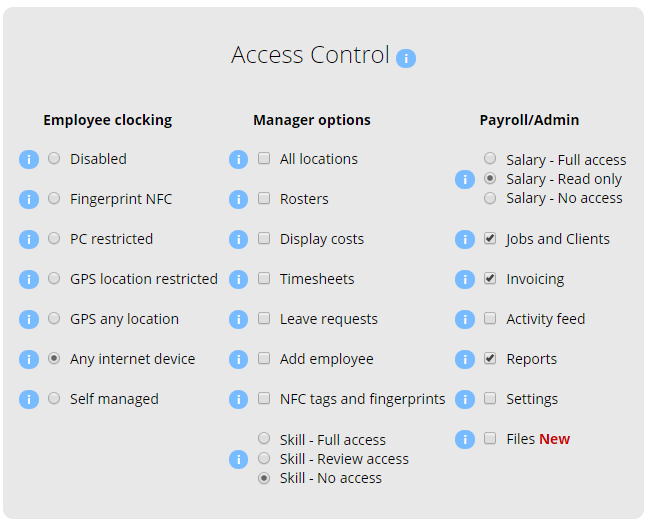 This function also allows you to set specific areas of the site and control the amount of information each employee has access to. Mouse over the info dots for more information on each setting. 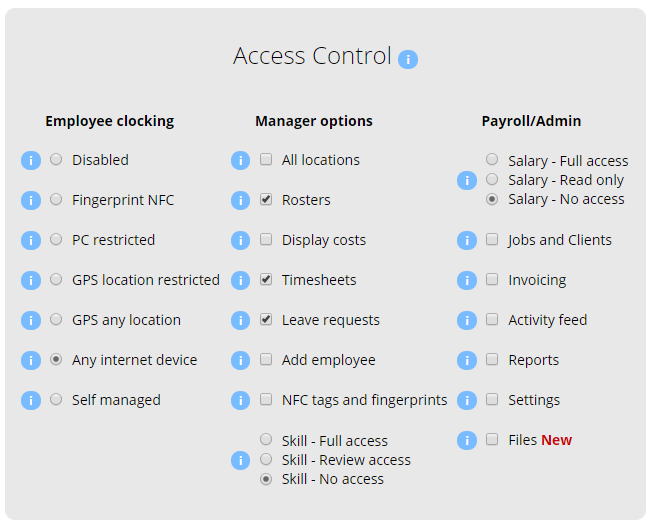 The below is an example of how you would use these settings for a typical employee who can only clock on either with the fingerprint scanner or NFC. This is great for Supervisors or Managers who have the responsibility of making adjustments to the timesheet. approve leave requests and access timesheets, but does not need to see costs or add employees. If the Manager was set to add an employee, this would only allow access to create the employee's username, they would not have access to private information in the employee console. The below is an example of how you would use these settings for an Admin employee who is required to access the jobs, invoicing and reports. They can view the payslips download the .ABA file and lock the week, they will not be able to edit the payslips. It is important to maintain your equipment to ensure it continues to run perfectly. Please ensure to clean your fingerprint scanners regularly. We recommend a microfibre cloth and the use of dedicated 'computer screen' wipes. Alternatively, windex can be used - but please ensure to spray the cleaning solution onto your cloth, do not spray cleaning solutions directly onto the fingerprint scanner or other hardware. Spray the cloth then wipe your hardware.